NO-ONE is likely to be more inspired once they reach the top of Gullane Hill playing in this year’s Aberdeen Asset Management Scottish Open than Phil Mickelson, the latest stellar name to commit to the event’s first visit to East Lothian. From what will be the sixth tee on the composite course being used for the £3.25 million tournament, the 44-year-old American can gaze down on the stretch of holes at Muirfield that he played so brilliantly in the final round to become an Open champion there in 2013. Memories of the birdies at both the 13th and 14th that sparked his charge to the Claret Jug will come flooding back. As will crucial par saves he made at both the 15th and 16th. From that spot on Gullane No 1, he’ll look straight up Muirfield’s 17th, where he hit two perfect 3-woods to find the heart of the green for another birdie before finishing in style with a 3 at the last for a closing 66. That sweet success alone in the world’s oldest major may just have been enough to have enticed Mickelson back to East Lothian this summer. 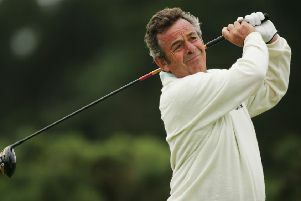 What made that even more of a near certainty, however, is that, after the home contingent, no player is a more loyal supporter of the Scottish Open than the five-times major winner. This will be his sixth consecutive appearance in the event, having not missed one since it started to be played on links courses, teeing up three times at Castle Stuart, where a play-off win in 2013 provided the springboard for that magical Muirfield moment the following week, and once, last year, at Royal Aberdeen. “I’m happy to be coming back for the Scottish Open again this year and looking forward to playing Gullane,” said Mickelson as he joined Justin Rose, the defending champion, as well as the likes of Luke Donald and Matt Kuchar in signing up to see what will be in store at the latest new venue for one of the European Tour’s showpiece events. “I’ve heard a lot about the course – saw it when I was practising at Muirfield before The Open a couple of years ago and am really looking forward to playing it. World No 1 Rory McIlroy is expected to add his name to the line-up in the next few weeks, but Masters champion Jordan Spieth is unlikely to do likewise due to his loyalty to the John Deere Classic on the PGA Tour.